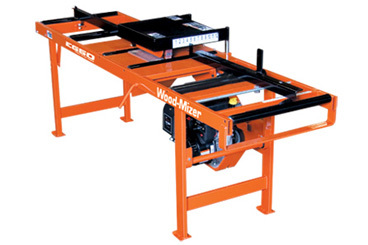 Increase production and profits by turning your flitches, sideboards, and slabs into clean square-edged boards with a Wood-Mizer board edger. 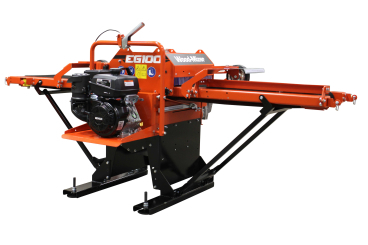 Running a board edger increases the value of rough sawn lumber while also saving time and labor from edging boards on a sawmill. 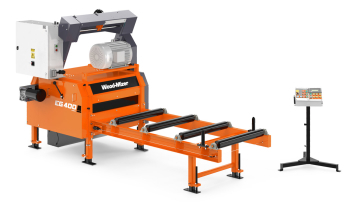 Ease of operation, reliability, accuracy, and versatility make Wood-Mizer’s broad range of single blade, twin blade, multirip, and optimizing board edgers a profitable investment for hobbyists, start-up sawmill businesses, and high production operations. Entry-level single blade lumber edger with one 10" carbide-tipped blade, 10HP gas engine, 2 ¼" max board thickness and 12" max finished board width. Entry-level twin blade lumber edger with manual blade adjustment, gas/electric power, one fixed/one adjustable 10” carbide-tipped circular blades, 20 ½” max width capacity, 12” max finished board width, and 30 fpm belt driven feed system. 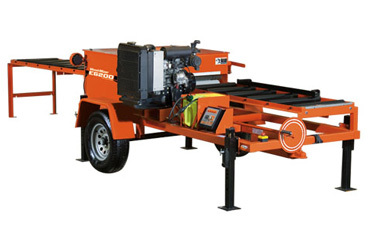 High-production twin blade lumber edger with gas/diesel/electric power, one fixed/ one adjustable 10” carbide-tipped blades, 24 ¾" max flitch width, 2" max board thickness, 15" max finished board width, 55-70 fpm powered roller feed system and an optional trailer package. Industrial twin blade lumber edger with 25HP electric power, one fixed/ one adjustable 13 ¾” carbide-tipped blades, 5 blade multirip capacity, 21” max flitch width, 2 ¼” board thickness, 16 ½” max finished board width, setworks, and 46/56/59 fpm variable feed speed. 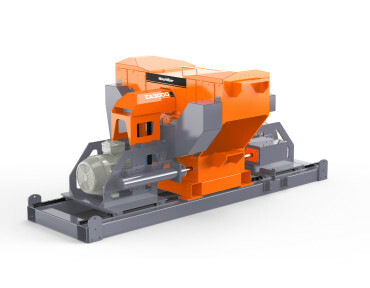 High-throughput manual lumber edger with 40HP electric power, multirip blade capacity, up to 425 ft/min variable feed speed, 25 - 3/16" max material width, and 4 - 1/4" max material thickness. 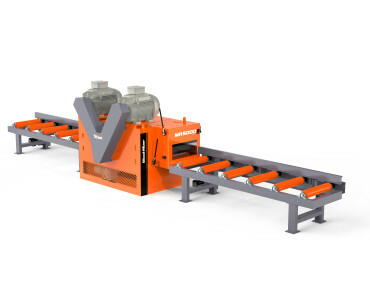 High-throughput multirip lumber edgers with 2 x 60HP or 100HP/120HP electric power, optical sensor controlled pneumatic hold downs, multirip blade capacity, up to 130 ft/min variable feed speed, 23" max material width, and up to 9 - 1/2" max material thickness. 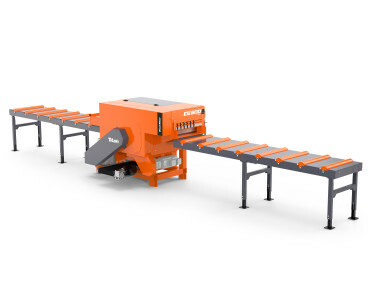 High-throughput optimizing lumber edgers with optical board scanning technology, electro servo sizing system, automated board alignment, 29HP or 40HP electric power, up to 460 ft/min variable feed speed, 19 - 11/16" max material width, and up to 1 - 3/4" max material thickness.